OWNER FINANCING POSSIBLE WITH SUBSTANTIAL DOWN PAYMENT!! Elk Meadow lot is 3.41 acres This lot is near the incredible Elk Corridor Wildlife Area where the herd often winters. Magnificent views of the Collegiate Peaks Range including Mt. Princeton, Columbia and Harvard. Game Trail has National Forest Access for the residents. HOA includes road maintenance, Trash and Recycling area, central water and some outdoor watering. Water Tap is paid.Elk Meadow lot has rock outcroppings, great southern exposure for passive solar and is sloped for a walk out basement in areas of the lot. 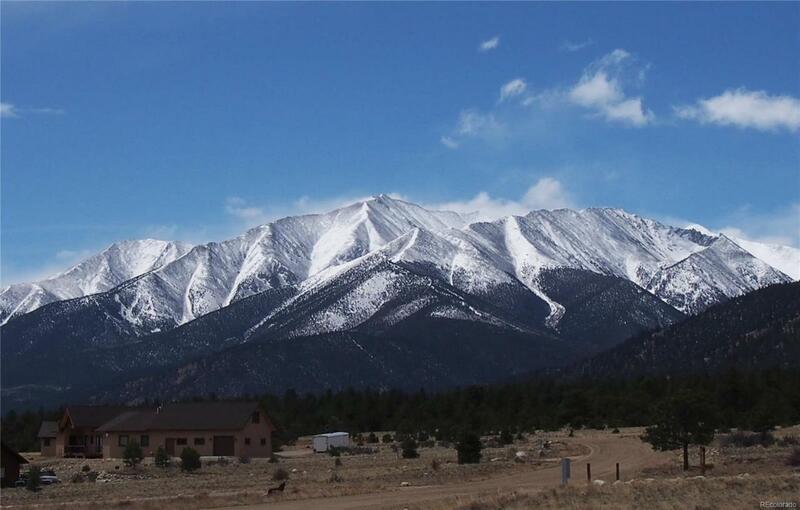 Join this great mountain community with many activities and be only a few minutes form the conveniences of Buena Vista.